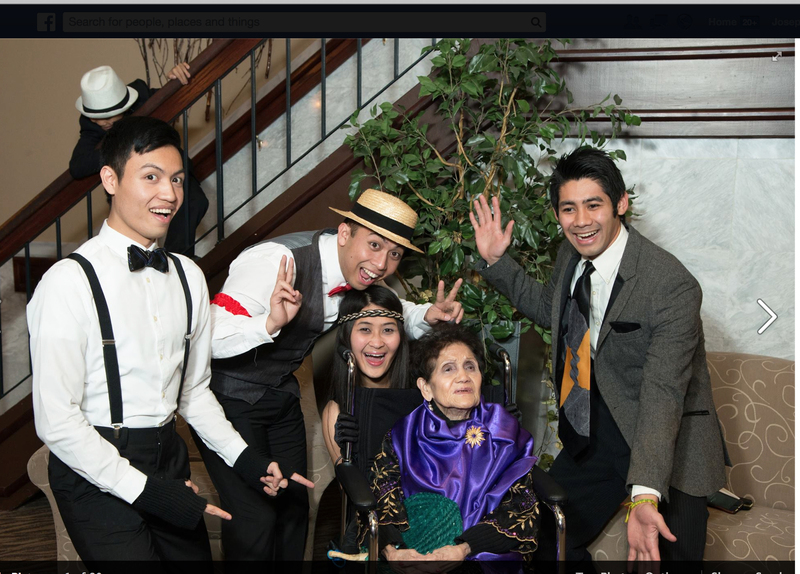 CHICAGO (JGL) – Even when she was already dying inside the intensive care unit (ICU), Luz Diaz Agustin-Mella was still craving for chicharon (friend pork rind). 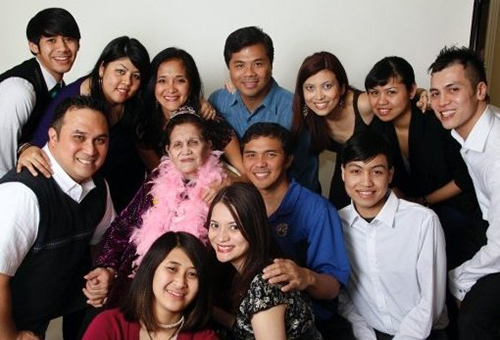 Her daughter, Heidilynn Mella-Equina, told the Journal GlobaLinks that aside from crediting her mother as having full of “faith and (being a) spiritual woman,” her Mom’s fondness for chicharon might have helped her extend her life to live more than a hundred years. Ms. Mella-Equina, a general practicing nurse, said part of the food servings of her Mom had been chicharon at breakfast, lunch and dinner despite her and her family members’ warning her Mom that too much chicharon could be very fattening and would merely increase her cholesterol intake. Ms. Agustin-Mella, a home economics teacher and native of Bulan, Sorsogon in the Philippines, succumbed last March 4 at the age of 100 years and 18 days to complication from surgery to remove a blood clot from her large intestine in the Our Lady of the Resurrection Medical Center at 5645 West Addison Street in Chicago’s near northwest after eight days of confinement. “She had continuous vomiting but had continuously prayed for two hours and gave up her fight for her life only when she realized that all her loved ones were by her bedside. She died peacefully,” her grieving daughter said. “My Mom died a very happy woman. She was able to eat her favorite chicharon, would be very comfortable cooling herself off with a Philippine-spun pamaypay (fan) and would drink three cups of coffee everyday,” Heidilynn said. She had no high blood, no diabetes. She did not complain from anything. Her body might have deteriorated causing her to use a walker for mobility. But her mind was still very good as she prayed and sang her favorite Gospel songs, “In the Garden,” words and music by Austin Miles, and “I Surrender All” by Judson W. Van De Venter that she learned as a Baptist, a Christian denomination she joined in 1968 in the Philippines seven years before immigrating to the United States. A growing Las Pinas, Metro Manila Baptist church started in the garage of her home in 1970 as she loved to be a missionary to spread the Gospel. When Luz turned 100 last Feb. 14 (she was born Feb. 14, 1914), she got centenarian certificates from birthday greeter host Willard Scott of NBC Today’s Show from Washington, D. C. and from the National Centenarian Awareness Project founded by Lynn Peters Adler, J.D., of Redding, Connecticut. Heidilynn expects some institutions in the Philippines to send her mother centenary greetings when her family plans to hold a memorial service on her behalf on May 4, 2014 at the Manila Memorial Chapel in Paranaque, Metro Manila. There, Luz’ ashes urn will be buried together with her late husband, Vigor De Castro Mella, Sr., of Magallanes, Sorsogon, a civil engineer and a World War II guerilla member under the Escudero Guerilla Unit, who preceded her in death when he met an accident in 1960 while he was a provincial treasurer in Catarman, Samar, and their son, Roland Mella, Jr., an industrial engineer, who drowned in a boating accident in Cedar Lake, Indiana in 1967 at the age of 26. Luz was cremated Monday, March 10, after funeral wake and viewing last Friday, March 7, at Cumberland Chapel at Norridge, Illinois. An alumna of Far Eastern University, Luz graduated with a Bachelors of Science in Home Economics and worked for three years as a nutritionist starting at the outbreak of World War II in 1941 at the U.S. Public Health, an agency that offered her to immigrate to the U.S.
After the war, Luz worked at the government’s Bureau of Printing, Department of Finance, taught home economics at the Sorsogon and Goa, Camarines Sur Provincial High Schools, employed at Government Service Insurance System and last taught at Muntinlupa High School for three years after which she revived her U.S. immigration application and immigrated with her family to the U.S. in 1975. In Chicago, she worked for about five to six years at the Bunilsor Medical Clinic in Chicago before she retired.